Quini, the wine market intelligence platform and wine tasting app will be at CONNECT Food + Drink + Lodging (www.connectshow.com) Sunday, October 18 to Monday, October 19. 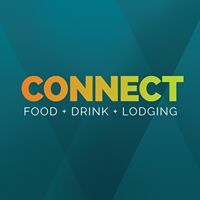 CONNECT attracts thousands of lodging, liquor and restaurant professionals from across British Columbia for the opportunity to engage with new trends, products and innovative services aimed at the hospitality industry. With this being Quini’s inaugural year at CONNECT, we invite all restaurant, hotel, airline, club, pub and wine bar professionals to stop by booth #829 to learn about QUINI HOSPITALITY. Quini will be present to demonstrate the new solution and discuss how it can be deployed to accelerate business decisions and empower frontline staff with unprecedented tools and information designed to positively impact wine sales. Instantly deployable, QUINI HOSPITALITY offers to companies an efficient and effective way to capture, access, analyze and deliver sensory wine tasting information and knowledge across the organization. Comprehensive solution packages are available to meet the needs of small, medium and large organizations. Quini provides leaders in the wine industry, research, publishing and technology with access to real-time wine tasting feedback, consumer insights and predictive analytics to power more informed decisions and accelerate business results. In addition, Quini’s wine tasting app enables wine enthusiasts of all experience levels to discover their palate more quickly, and to organize, archive and share detailed wine reviews. Privately held, Quini is headquartered in Vancouver, BC. The Quini project is co-funded by CMF (Canada Media Fund) and is available as a mobile application in English and French for iPhone and iPad, and for desktop, laptop and tablet computers at https://QuiniWine.com. A BETA Android version can also be downloaded from the site. Planning to be in Whistler for the 18th annual Cornucopia Wine & Food Festival? So are we! Quini is thrilled to be the exclusive wine app of the festival. To make sure everyone gets the most out of this tasty 10-day event, we thought we’d share our top 5 wine tasting event tips. Happy sipping! If you’re ever in downtown Vancouver on a Wednesday or Thursday evening, you may notice a growing trend: wine lovers are flocking to the Sutton Place Hotel for the Quini Sutton Place Wine Merchant Wine Education & Tasting Series. This week Top Drop Vancouver launched The Main Event, a terroir-focussed event for wine, beer and food industry insiders and enthusiasts. As the event’s official wine app, Quini got front row seats to the festivities. And what great seats they were! I mean really, how could you go wrong with such an impressive line-up?